STIPULATED, America’s southern border is a veritable powder keg. Realistically, it is hyper-poised to explode and implode. 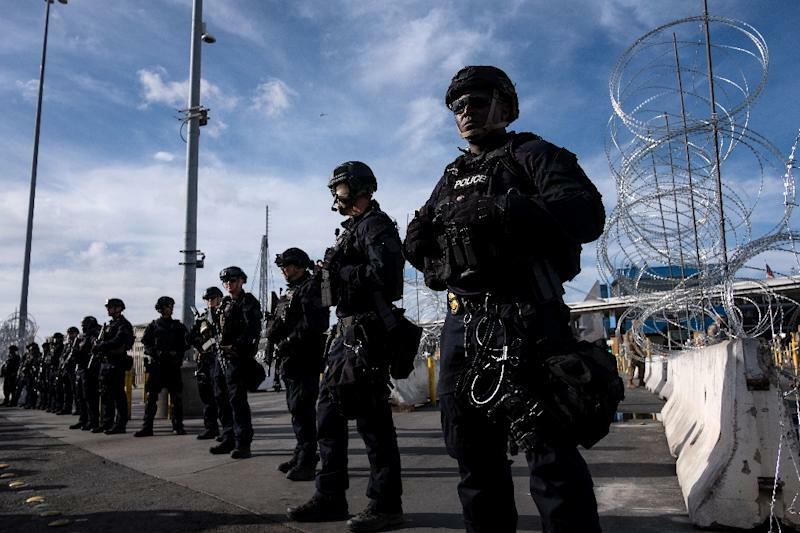 In fact, there has yet to be a more invasive threat to the nation’s security and sovereignty, that is, if law and order is still considered to be a sine qua non barometer to ensure America’s freedom-based underpinnings. IN light of the above (and so much more), it is manifestly clear that today’s precipitous dangers stem from a decades-long illegal invasion; an inevitable knock-on effect. As such, patriots are well advised to internalize the following idiom’s underlying import, that is, to be able to “walk and chew gum at the same time.” The point being, though imperative to stand shoulder-to-shoulder with those who shore up the southern front, patriots can’t afford to lose sight of the increasingly dangerous Jihadi threat from the northern front, Canada. Emphasis added. MIND you, while this Jihadi expert is, at times, painted with varying not so flattering descriptors (akin to water off a duck’s back), being compared to a Johnny-come-lately is not one of them. For good reason. IN this regard, Canada’s Islamist threat has been exposed at this site through numerous exposes’. 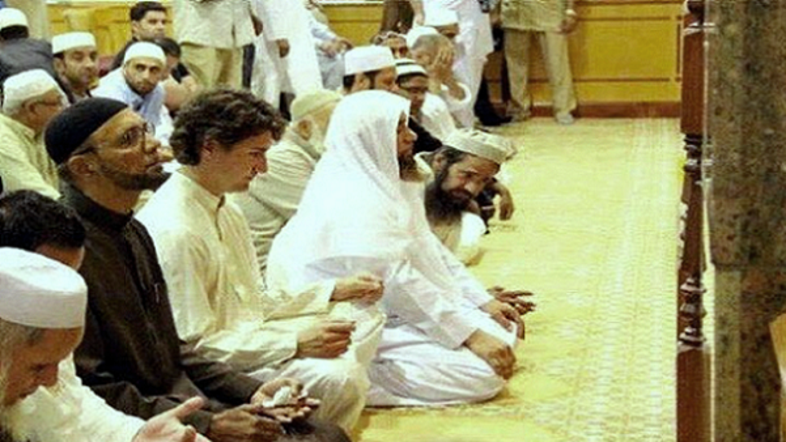 In tandem, the absolute part played by “pretty boy” Trudeau – an unabashed socialist/Marxist, and lover of Islam – is, unreservedly, a centerpiece. WITH this charge sheet on full display, and with the expectation that it will circle the internet like a house on fire, let’s recap. As night follows day, 2015 elicited more of the same alarm bells. 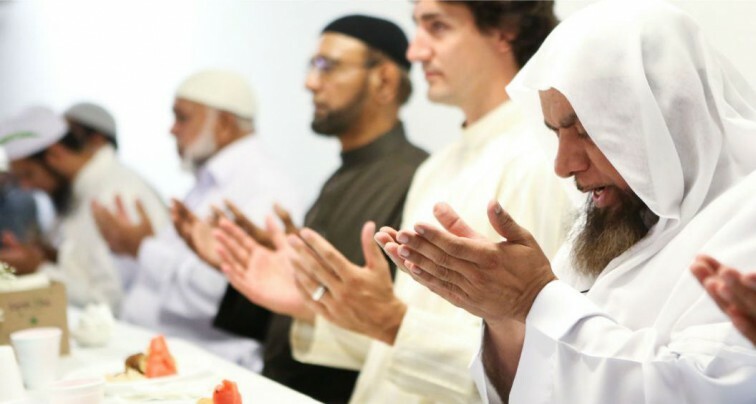 Consider: “Canada’s Trudeau Strikes Again: Guess Who’s Coming ‘Home’ For Christmas?“; Trudeau Endangers America/West & The Brotherhood Mafia IS Emboldened“, and, “America’s Neighbor, Canada, Meets An ISIS Nightmare. What’s The Upshot?” Trust, this site’s warnings go on….and on….and on….. RESULTANT, under said warm embrace, a triumphant reception was given to well-known Islamist academic in Canada; Tariq Ramadan, a westernized wolf in sheep’s clothing! Yes, he is the all-star grandson of the founder of the Muslim Brotherhood Mafia, Hassan al-Banna!! ALAS, it should hardly be shocking, surprising, nor even “news” to read the following threat analysis on November 16, 2018 – indeed, by highly qualified, non-partisan terror experts. Incontestably, take this site’s professional assessment to the bank re their bull’s-eye assessment. DESPITE all of the evidentiary trails, it is entirely predictable that those in positions of authority – who remain profoundly deaf, dumb, and blind to the threats poised at the southern front – will also elicit shock….shock….and more shock, not if, but when Canada’s (pampered) Jihadis make their way into the U.S., and join up with Mohammedans in the U.S. and explode. After all, entry from friendly, so-called liberal-based Canada is easy peasy. WHICH begs the question: when will it become apparent to the rest – a preponderance of American citizens and westerners at large who value the nation-state above the “global village” ala globalists – that it is unsustainable to allow (elected) foxes in the hen-house, so to speak, who tolerate the intolerable? BY extrapolation, patriots should be ready to smack them down, especially, when they deploy verbal jujitsu; the likes of which should make a whore blush. More specifically, they should be aware of the many bugaboos that are thrown around like sharpened darts; namely, those which fallaciously conflate patriotism and love for ones’s nation-state with yesteryear’s nationalism. How so? By attaching patriotism to the horrors of Hitler and assorted genocidal regimes, thusly, it too becomes “evil” on its face. Hmm. NOT only that, historically, said mass murdering machines were executed by the fascist-left ala national socialism via political violence – that which is eerily similar to the tactics deployed by (read: ANTIFA, Black Lives Matter, and like-minded thuggish, domestic terror groups within the red-green alliance) today’s anti-American, open borders organizing fronts. History repeats. SIMPLY, “the more things change, the more they stay the same…..plus ça change, plus c’est la même chose” – attributed to Jean-Baptiste Alphonse Karr – is as true today as it was yesteryear. TO wit, since knowledge IS power, patriots are urgently advised to internalize Jonah Goldberg’s clear and convincing analysis within “Socialism Is So HOT Right Now“. Its basis is replete with key “explanations for the enduring power of very bad ideas.” Not only will being armed with an arsenal of truths aid in deconstructing lie after lie, but will enable “walking and chewing gum at the same time” – hopefully, with eyes and ears peeled towards both of the nation’s perilous fronts, southern and northern. MOST significantly, a border-less nation is NO longer a nation. Herein lies the crux. This entry was posted in Uncategorized and tagged America in peril, Canada's unprotected border, Islamists infiltrating inside Canadian gov't, Trudeau's embrace of Islamists by Adina Kutnicki. Bookmark the permalink. More and more freedom-seekers – not just in America – are becoming informed from the re-blogs. Thanks for your vote of confidence!